1. In order to complete the MA degree in History, must students attend the campus in Huntsville, Texas? No. All courses can be taken on-line. Students can complete the degree without ever visiting the campus. 2. Is the degree accredited? Yes. The degree has been formally approved and accredited by the Texas State University System, the Texas Higher Education Coordinating Board, and the Southern Association of Colleges and Schools (the gold standard of accreditation). 3. How much does each course cost? The fees change from year to year and are set by the Texas State University System. 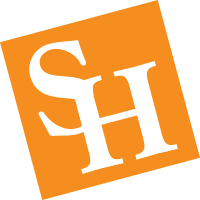 To view SHSU Tuition and Fees information, please go to the SHSU Cashier's Office homepage or contact their office for more information. 4. Is a thesis required? No. There is a non-thesis option. Before writing a thesis, students must secure the approval of the department chair. 5. Are there time limits for completion of the degree? Yes. A Master of Arts degree at Sam Houston State University must be completed in a seven-year period between the time the first class is taken and the awarding of the degree. Under certain circumstances, extensions can be given. 6. How many on-line courses can be taken at one-time? Three on-line graduate courses are considered a full-time load. In other words, a student taking three on-line courses should expect to spend 30-40 hours per week to complete them. Most students take one course at a time. Occasionally, a student will take two courses, but most find that a very daunting proposition, especially if they are working at full-time careers. 7. Can students begin and finish a course on their own time-table? No. Courses follow the semester calendar. The Sam Houston State University calendar is available in the university catalog on the university website. 8. How do on-line courses work? The courses vary from professor to professor. Some are very sophisticated requiring interactive dialogue, chat rooms, and access to other on-line collections. Other classes are very self-contained and work more like an e-mail correspondence course between student and professor. All courses, however, are writing intensive. 9. What are the grading standards? Unlike undergraduate work, graduate school recognizes only A, B, C and F. Note that a grade of C is not considered average or acceptable. In fact, recording two C’s is reason for expulsion from the program. In all cases, communicate with professors to understand their expectations clearly prior to submitting work. 10. What happens if my professional career requires frequent travel or frequent relocations? As long as a student can access the internet, course work can be completed. For students whose own career demands prevent them from completing a course, we can give a grade of IP (in progress), which allows an extended period to finish the requirements. This is especially useful for military personnel. 11. When do I apply for graduation? It is the responsibility of the student to apply for graduation the semester before he or she expects to graduate. Information about the application process can be obtained from the Registrar’s Office. The university also requires that a student be enrolled in at least one class during his or her semester of graduation. 12. Can students with limited academic backgrounds in history be admitted to the program? Yes, under certain circumstances. We require the equivalent of an undergraduate minor (at least 18 semester credit hours) or major in history. In assessing eligibility, we will take into account undergraduate courses taken from other departments if the course had a history focus, such as art history, constitutional law, US foreign policy, and musicology. 13. Although I already have earned a graduate degree, do I still have to take the GRE to be admitted? Yes. The GRE is required for admission to the program. 14. I have attended many universities/colleges, sometimes only for one course. Do you need transcripts from each of them? Yes. We require transcripts from every university or college you have attended, regardless of the number of courses taken at each institution. 15. I have earned graduate credit at another university. How much can I transfer? SHSU will normally accept up to six hours of graduate history transfer credit. Under certain circumstances more hours can be accepted with the approval of the department chair. 16. I took a break from the program last spring semester. Do I need to resubmit a full application to continue taking classes? Yes. If a student is returning after not taking any classes during two long semesters, Fall or Spring, they must submit a new application and they must abide by the application deadlines. Those deadlines are: Fall - April 1, Spring - October 1, Summer - March 1.